All things related to the Gash Cabin project: updates, ideas, and resources. Our First Inspection – Passed! The land is VERY rocky. We hit bed rock at 18-36 inches consistently. 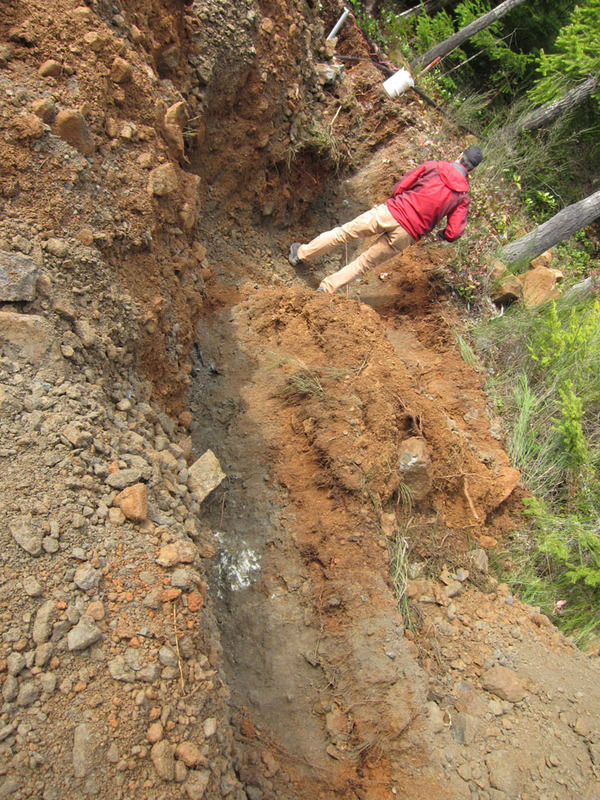 We (err, Robert) was convinced that the trenches could be dug manually. Robert had a “fun” time trying and our excavator came to the rescue with rock teeth on his excavator. Because the land is so rocky, we can’t drive the grounding rods the full 8 ft so we needed to lay them on their side to meet code. Apparently one must show that you’ve tried to drive them, so we had to try to drive them (which did, believe me!) Then bend them over. You’ll see in the photos below pictures of both scenarios. One must apply some sort of anti-corrosion gel to the connections inside the box. This is buried in the code. You’ll see the connection in the photos without the gel. NOTE: I am not the electrically savvy person in this relationship, so please forgive the non-technical speak and if you have questions, ask Robert! 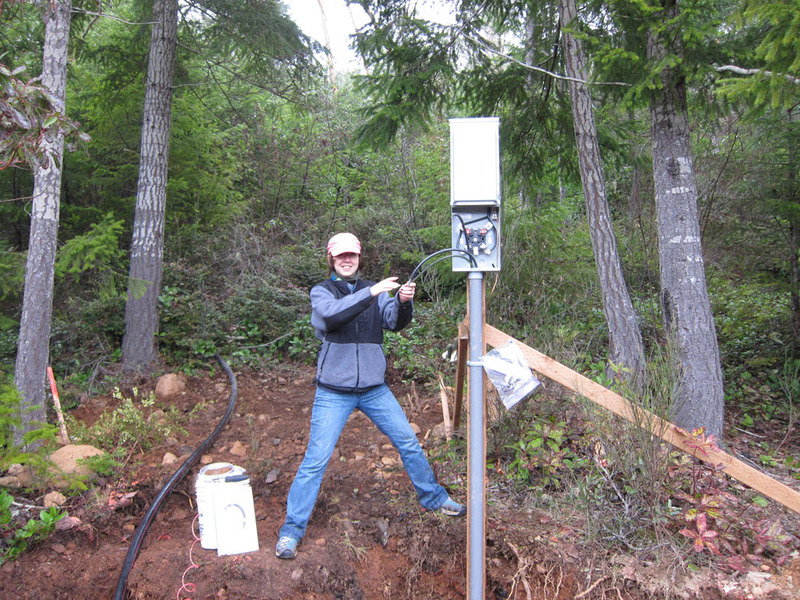 What was I doing while Robert was physically exerting himself trying to dig trenches and drive grounding rods into bedrock? I was clearing our “first” trail. That’s a topic for another day. For now, we passed inspection!!! Here are some pictures of the process. 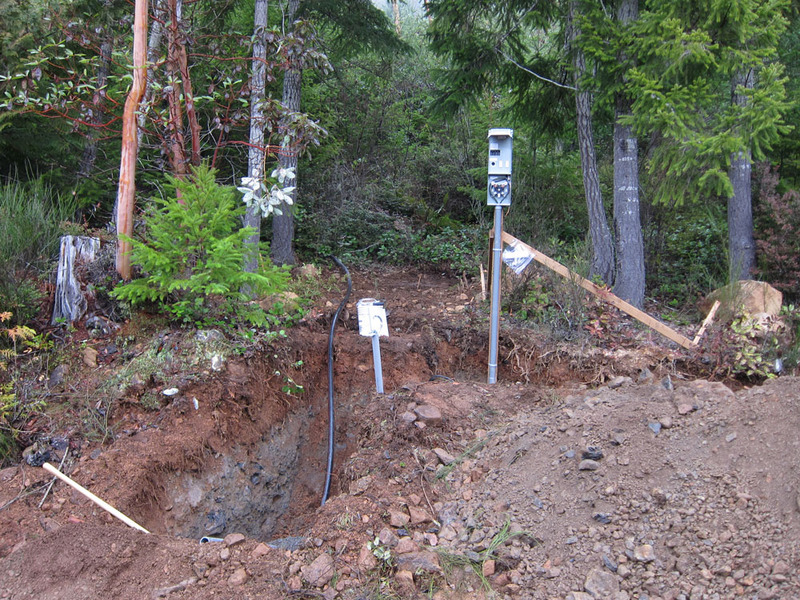 The grounding rods (the first time around). 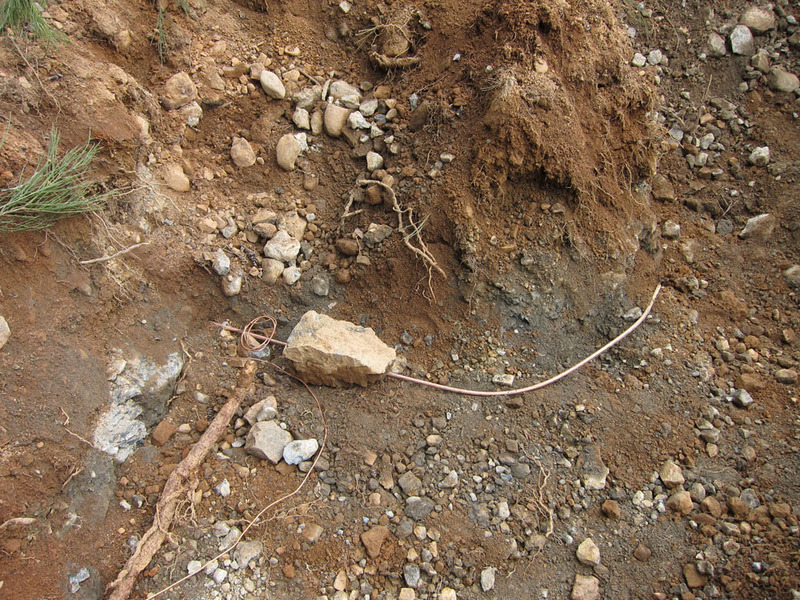 The grounding rods, the second time around. 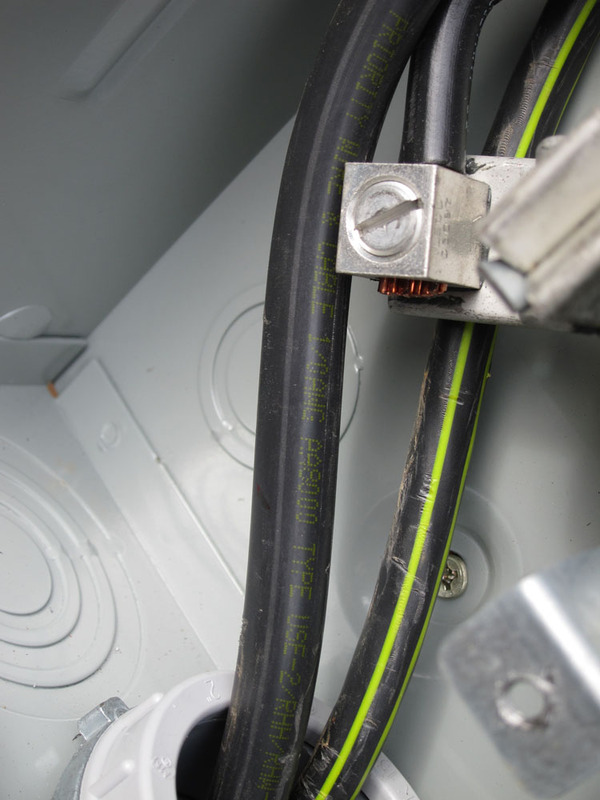 The wire connection in the box. Note that this is before we added the gel. 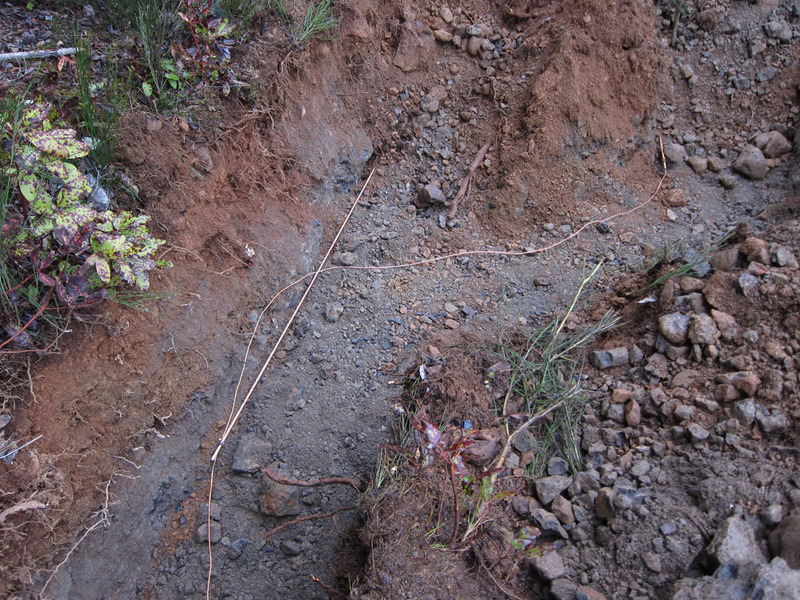 The trenches for the grounding rods and power pole. The PUD (power utility district) has been fantastic. We passed inspection on Tuesday and we are already powered up. Dan, from Morger Construction–who is absolutely fantastic–will be there soon to fill the holes. This entry was posted in Uncategorized on March 1, 2013 by kelly. Countertops and railings are in! Mom on We Passed Inspection! woody on We have a fridge! woody on We finished the floors! Mom on Look what we have!! Hint: it flushes!